City Hijabi: The Aliens Have Landed! Well, not aliens exactly but Turkish hijab style, which incorporates the unusual alien-shaped cone....But they still look lovely mashallah! 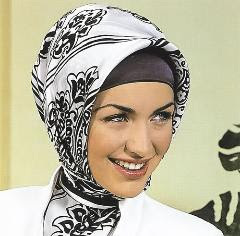 How many of you wear the hijab in this way?